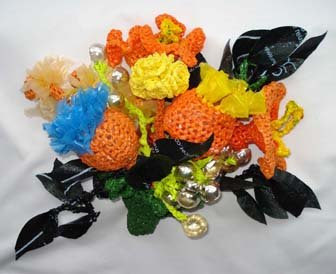 Last year I made some plastic yarn floral arrangements to be displayed at the ICHF shows around the UK. 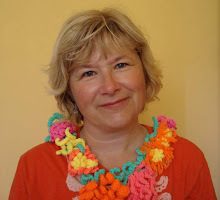 I'm hoping to catch a glimpse of them at Sewing for Pleasure at the NEC, or if not, then definitely at Aintree in April. For National Knitting week Oct 08, I had my own little display at Brighton & Hove Museum. 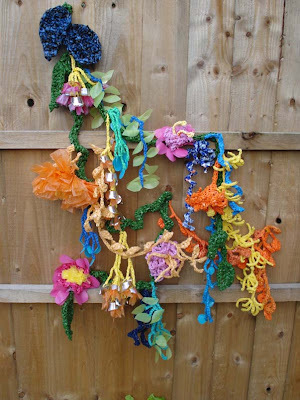 I crocheted this 2m long vine out of plastic bags and a few more corals or - whatever they are -in black and white. 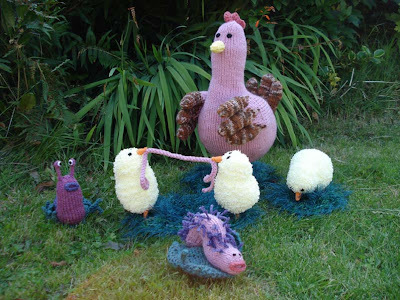 The alien family was made for the I Knit London Day monster competition. I wonder whatever happened to them? 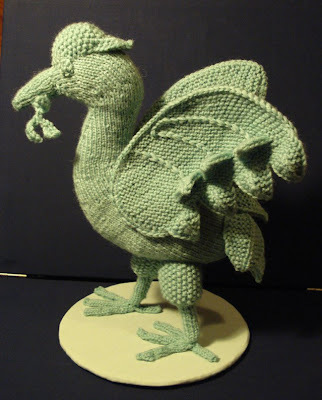 And here's my pride - knitted Liver bird No2. I made this for a commission and it was really hard to get the shape right. I think I just find knitting too boring these days, freeform crochet is so much more interesting and a lot faster. I must start experimenting with freeform knitting. 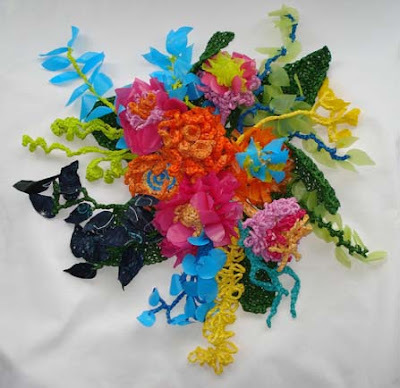 Wow... your creations are incredible!!!! I love this post, to you mind if I link one picture so my readers can see your beautiful things? ?